The Rebel Sweetheart. : Safe Sleep Giveaway | Win a Precious Herbal Pillow! Safe Sleep Giveaway | Win a Precious Herbal Pillow! hosted by Happy Mothering and Purposeful Homemaking. Members of the Green Moms Network are excited to bring you great prizes to encourage healthy and safe sleep for our families, all valued at $25+ . After entering my giveaway below, please visit the other blogs listed under the Rafflecopter form to find the rest of the great giveaways. 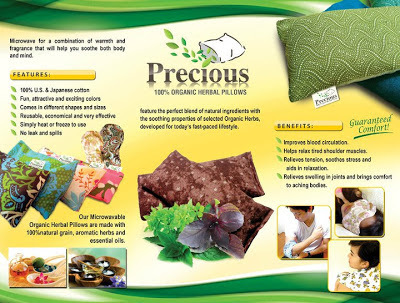 If you can recall, I did a post last November about the Precious Pillow, a 100% organic herbal pillow made out of natural grains, herbs, and essential oils. Now the ever-so-generous people of Human Heart Nature Laguna are giving you, my dear readers and followers, the chance to experience this wonderful product for yourselves. Awesome, isn't it? At stake is a 12x12 Back Pillow, the same size as mine. This giveaway is open worldwide, and will run from February 18 to March 1. As always, use the Rafflecopter below to send in your entries. Good luck! Looks like organic pillow is really a comfortable one. Looks like the organic people is a comfortable one and would give you a good night sleep. Does it have a perfumed smell? I'm allergic to most perfumes. nice pilow.thnx for this giveaway. bongga kumare ko open worldwide! generous ang Human Nature Laguna! 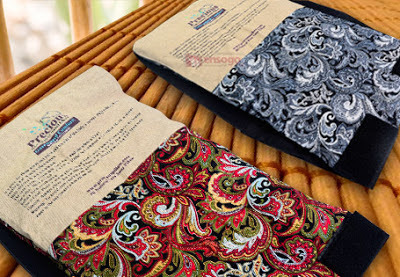 I have never tried one of these pillows, but they sound amazing. My youngest daughter hasn't been sleeping very well lately, I'm hoping this pillow will help her de-stress at night. Thanks for the chance to win!